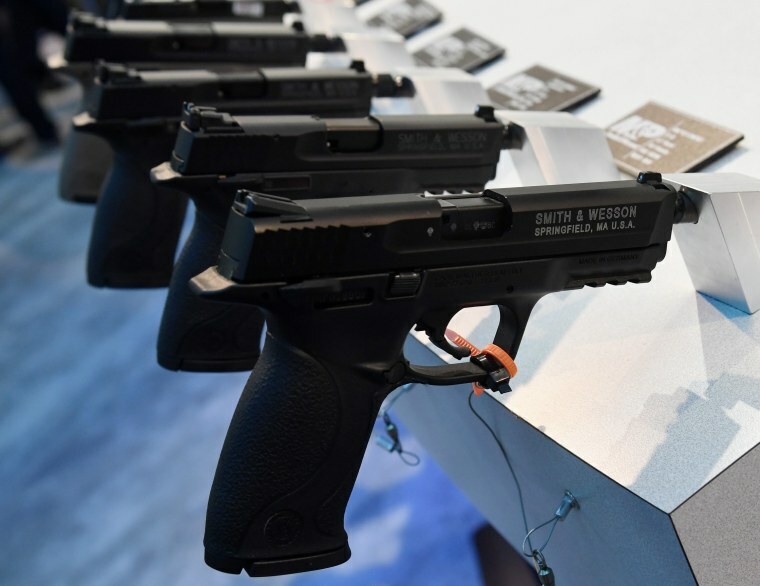 Investors at American Outdoor Brands Corp approved a call for the gun maker to produce a safety report, a win for religious activist shareholders. BOSTON — Investors at American Outdoor Brands Corp approved a call for the gun maker to produce a safety report, officials said during its annual meeting on Tuesday, marking a second win for religious activist shareholders focused on firearms makers after a series of mass shootings in the United States. The resolution, approved over the company's objections, asks its board to report by February on its efforts to monitor gun violence, to research and produce safer guns, and for an assessment of reputational and financial risks. All nominated directors at the Springfield, Mass.-based company, the parent of Smith & Wesson, received a majority of votes cast, according to a preliminary vote tally given by an official during the webcast meeting. The support for all nominated directors came despite concerns from top proxy advisers. The gun safety study vote shows top investors worry that gun violence could adversely affect the company, said Colleen Scanlon, senior vice president for Catholic Health Initiatives, one of the co-filers of the resolution. "Trying to think about how to make our products safer for civilian use seems like a very reasonable action for the company to consider," she said in a telephone interview after the meeting. American Outdoor Chief Executive James Debney said during the meeting he was "very disappointed" that what he called a "political agenda" became part of the company's proxy process. He said only 28 percent of the company's total shares outstanding supported the resolution, indicating many investors did not vote. American Outdoor's vice president for investor relations, Elizabeth Sharp, said the company would "review the vote totals and consider our next steps accordingly." The vote for the safety report underscored the attention focused on the firearms industry and its financial backers. In May, religious investors also won a majority of votes for a similar safety report resolution at rival gun maker Sturm Ruger & Co.
After a gunman wielding a Smith & Wesson assault-style rifle killed 17 students and teachers at a Florida high school in February, some banks restricted firearms lending, and asset managers including BlackRock Inc and Vanguard Group said they would speak to gun makers about the safety of their products. BlackRock and Vanguard, which together hold about 20 percent of American Outdoor's shares, did not immediately comment after the votes were disclosed, and had previously declined to comment.